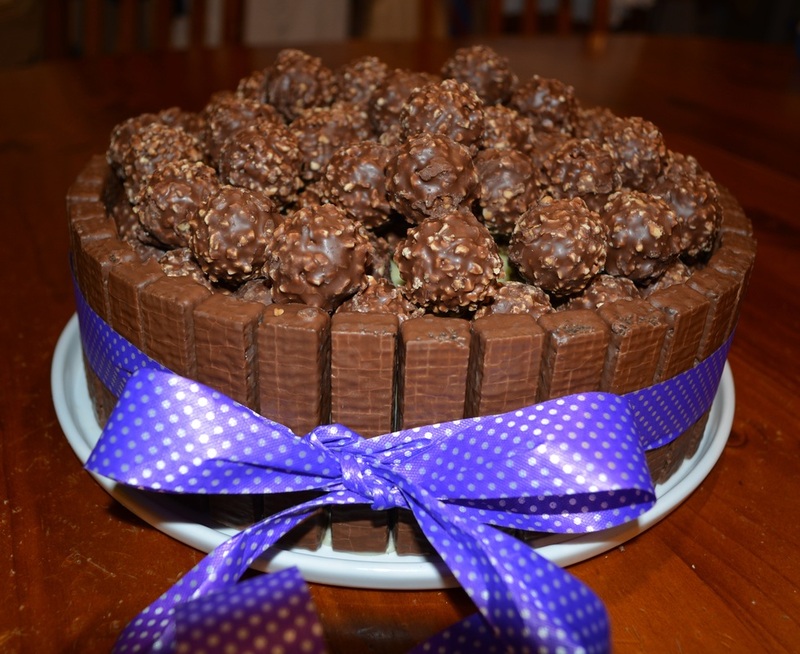 This is a really, really good mud cake, one of my favourites. It has a slight coffee taste to it that is just beautiful. Again, like my chocolate mud cake, it is not thick and dense, it is lighter than other mud cakes I have eaten. 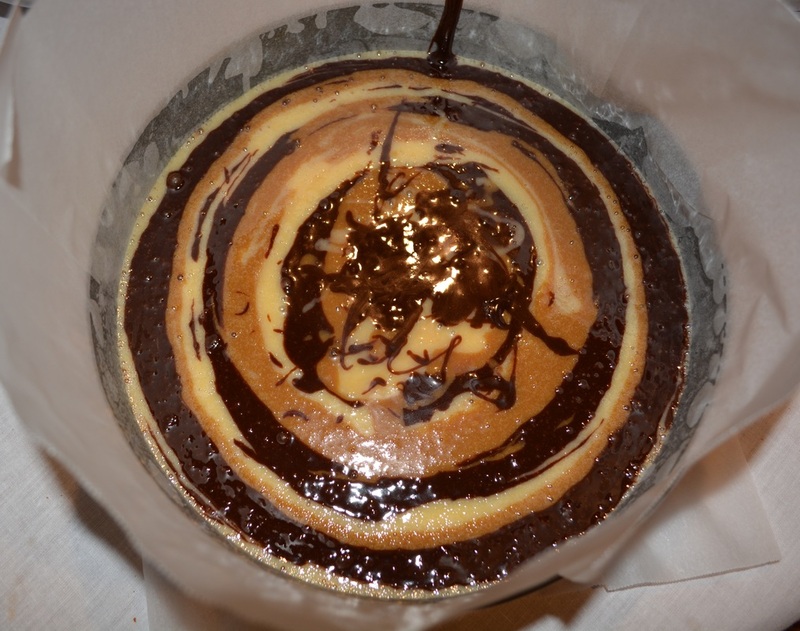 If you look at the photo below, the marbling in this cake is beautiful, each shade distinct and beautiful. My mum is hard to impress as a cook, as she is so good herself, but I know a cake is good, when my mum asks to take home all the tops of the cakes that I take off to level the cake. She had them with coffee over the next few days, and loved it. If you love a mud cake, try this one, it will not disappoint. And if you serve it with some vanilla ice cream it is even better. Preheat the oven to 160C. 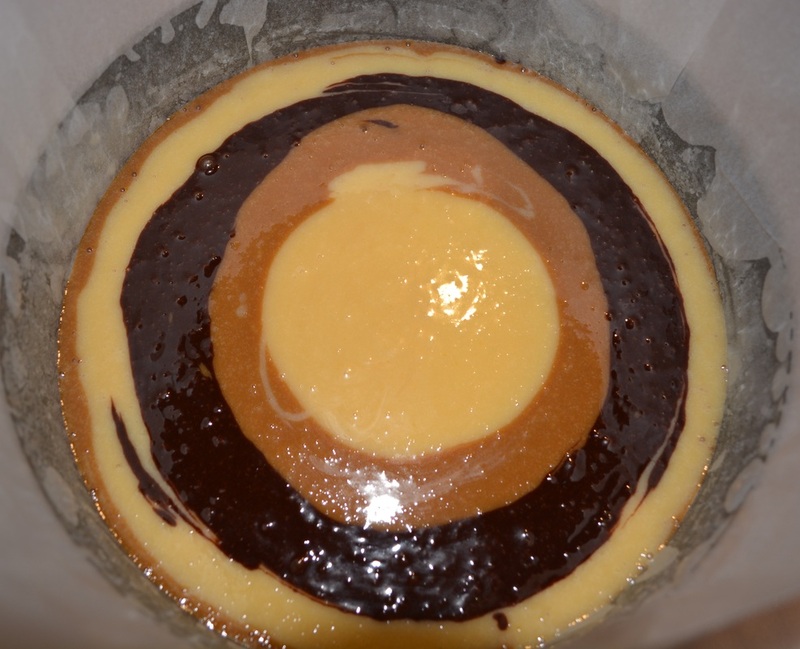 Grease and line with baking paper a deep 25cm round cake pan, extend the paper 5cm above the edge of the pan. Add the dark chocolate, butter sugar and water to a medium saucepan, stir over low heat until smooth. Transfer the mixture to a large bowl, allow to cool for 10 minutes. Add the plain flour, self raising flour, cocoa and egg. Using a whisk, whisk until just combined and smooth. 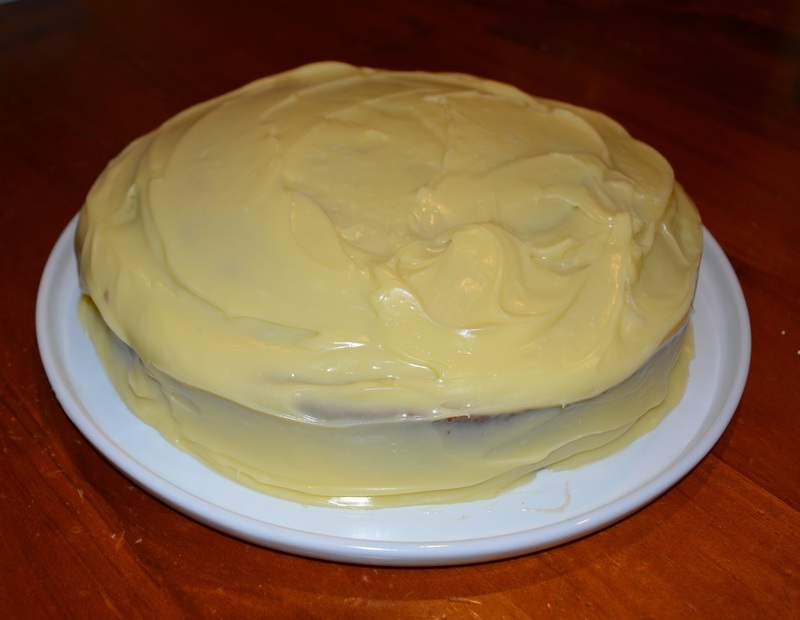 Now make the white chocolate coffee cake: To a medium saucepan add the white chocolate, butter, sugar and milk, stir over low heat until smooth. Transfer to a large bowl, allow to cool for 10 minutes. Add the plain flour, self raising flour and eggs. Using a whisk, whisk until just combined and smooth. In a small bowl combine the boiling water and coffee granules, stir to combine. Place half of the white chocolate mixture in a medium sized bowl. Stir in the coffee and water to one half of the white chocolate mix. Stir the vanilla extract in the remaining white chocolate mix. 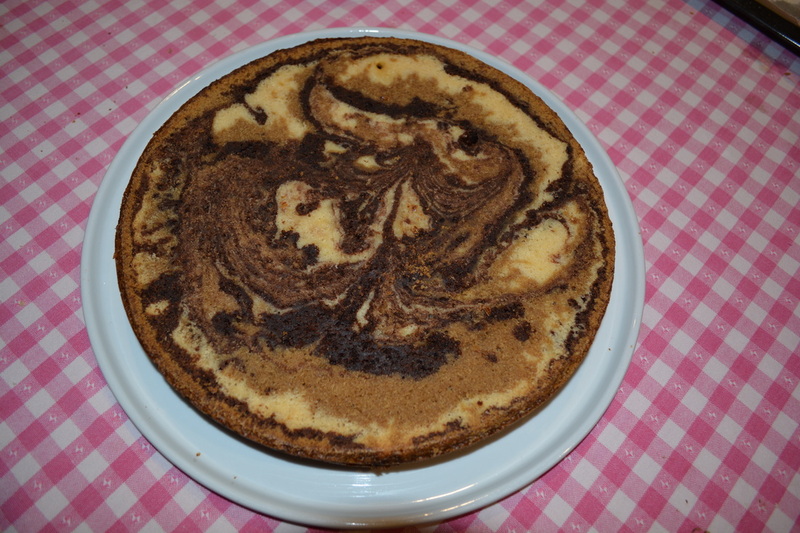 Drop alternate large spoonfuls of the dark, white and coffee cake mixtures into the centre of the pan. Each spoonful should go on top of the last spoonful right into the centre of the pan. This will form rings that will spread to the sides of the pan. I find this the easiest way and prettiest way to marble a cake like this. 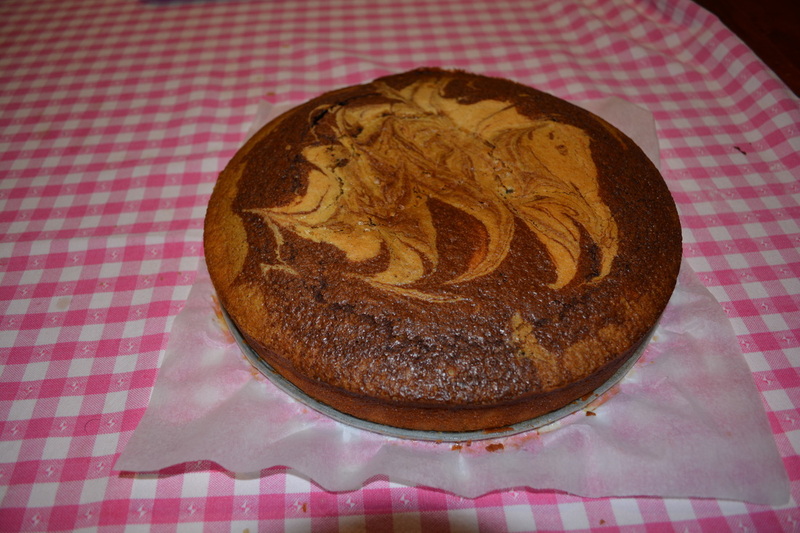 Then get a knife or skewer and ever so lightly marble the cake, it doesn't need much swirling. Bake the cake for 1 hour and 40 minutes, or until it feels baked, you can test with a skewer; cool cake in pan. 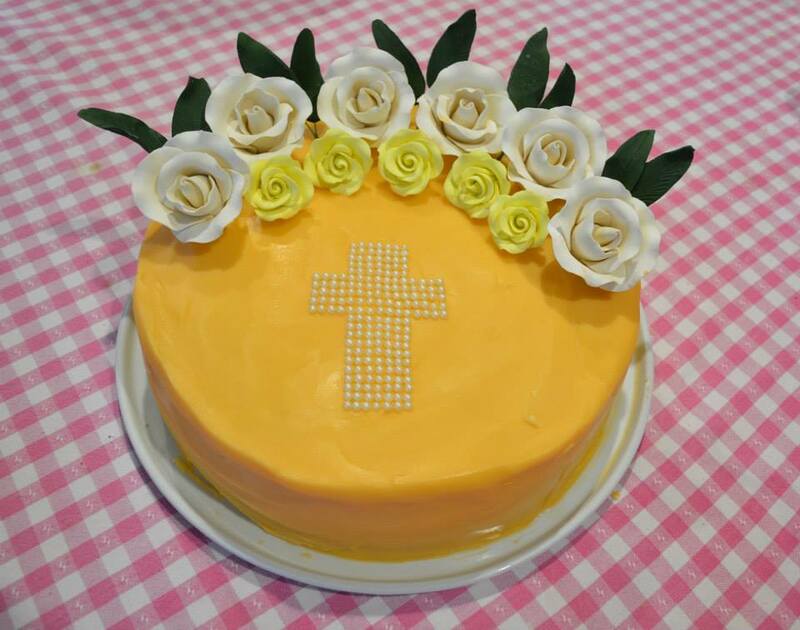 If I am having the cake at home just for us, I don't bother trimming the cake, as I like the crisp top bits, but if for a party, trim the cake so it is level. White Chocolate Ganache: Place the chocolate, cream and vanilla in a medium sized bowl. Place the bowl over a pan of simmering water, just don't let the bowl touch the water. Stir until chocolate has melted and the mixture smooth. Transfer the mixture to the refrigerator, refrigerate for 1 hour, but give it a stir every 10-15 minutes. Take it out of the refrigerator once it is of a spreadable consistency. Place cake on a serving plate, spread ganache all over the cake, dust with extra sifted cocoa.